Located on a generous site overlooking the 18th green at Clearwater Resort this house has been built with entertaining in mind. A large veranda space gives the house a strong horizontal line while protecting the interior from the afternoon sun. The plan has been organised around a large living room with a 3.5m high ceiling. Adjacent is a more intimate lounge that has an outlook towards the clubhouse. 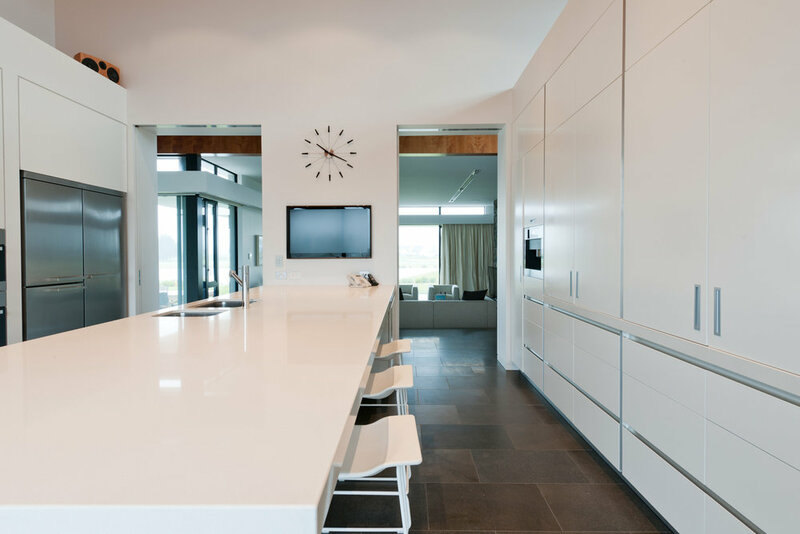 The house has been carefully constructed by the clients’s son with a constant dedication to detail. 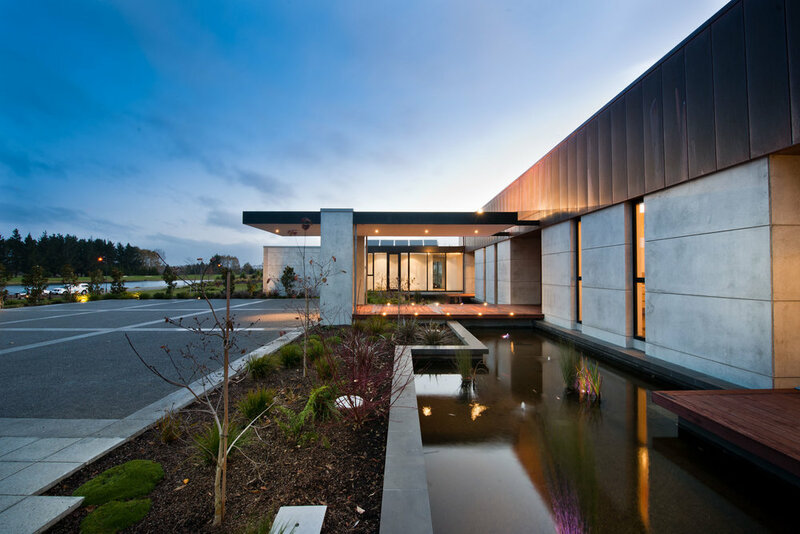 The walls of the house follow the Christchurch tradition of double skin blockwork providing deep reveals to windows and doors.